Nestled along the Hamakua Coast, yet only 15 miles north of Hilo, the sweet charm of Hakalau makes it an ideal place for many to call home. 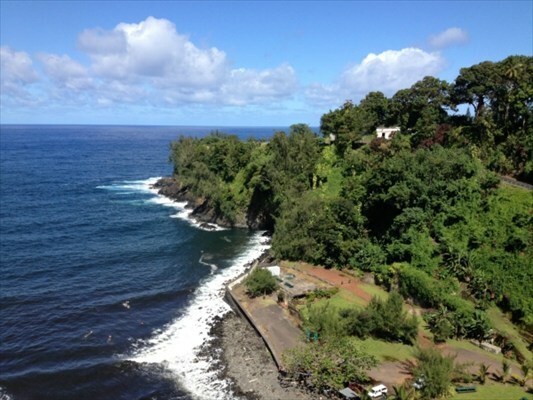 Harking back to a time when sugar was king, Hakalau offers the benefits of relaxed country living, yet is close to the amenities of Hilo, the second largest city in the state of Hawaii. Hakalau exudes small town warmth because there are only 613 residents (234 total households according to the latest census data). The ratio of men to women is well balanced (49 percent of residents are female and 51 percent are male) with a median age of 50 years old. In the 19th century, Hakalau Bay was used to transfer passengers and goods from small boats to larger ships. During much of the 20th century Hakalau was a thriving sugar plantation community and many historic sites remain, including two warehouses built in 1920 and an old theater, which is the current day post office. Although the last area mill shut down in 1974, many newly built homes retain the architectural style of plantation-era homes while embracing modern amenities. The elevation and weather in Hakalau lends itself well to growing all sorts of flowers and produce. Many property owners operate small farms growing orchids, coffee, and tropical fruits. In fact, the World Botanical Gardens and Waterfalls are nearby. Many Hakalau homes have stunning views of Hakalau Bay and/or Hakalau Stream, which flows from the slopes of Mauna Kea to the ocean. There’s a small state-owned park at the mouth of Hakalau Stream with picnic tables and grassy areas making it an ideal spot for a picnic. Hakalau Bay is home to a variety of ocean recreational activities, including surfing and fishing, but is not well suited for swimming due to strong ocean currents. Nature and bird enthusiasts will enjoy the 32,000-acre Hakalau Forest National Wildlife Refuge (NWR), which is home to 14 native bird species, 8 of which are endangered. The Upper Maulua Unit of Hakalau Forest NWR is open to the public for hiking, bird watching, and photography. Learn more about this fascinating rainforest. If you’re looking to make a lifestyle change and trade in hectic urban sprawl for peaceful yet beautiful living in Hawaii, then Hakalau is for you!